In a well-reasoned 49-page decision, the Board sustained an opposition to registration of the shape of Carroll Shelby's Cobra 427 S/C (shown below) for "automobiles," on the ground that the mark lacks acquired distinctiveness. The Board dismissed Opposer Factory Five's claims of genericness and fraud and found it unnecessary to reach the abandonment issue, since Shelby had no trademark right to abandon. Factory Five Racing, Inc. v. Carroll Shelby and Carroll Hall Shelby Trust, Opposition No. 91150346 (October 13, 2010) [not precedential]. Issue Preclusion: The Board began by addressing Opposer 's claim that issue preclusion applies in light of a 2002 decision by the federal courts in Massachusetts that the Shelby design had not acquired distinctiveness. The Board held to its earlier ruling in this case that issue preclusion did apply, but that it would still consider whether subsequent changed circumstances dictated a different conclusion on the issue. Genericness: Opposer failed to show that the Cobra 427 S/C design has been so widely used by others that it has become generic. Acquired Distinctiveness: Factory Five had the initial burden to establish a prime facie case that the subject design lacked acquired distinctiveness. Shelby then had the ultimate burden to prove, by a preponderance of the evidence, that his mark has achieved distinctiveness. 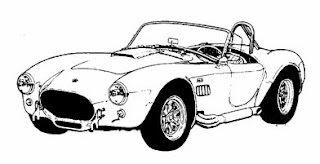 Shelby himself testified that use of the design has not been exclusive, since as many as ten companies, including opposer, continued to make Cobra replicas. That was itself enough to establish Opposer's prima facie case. The Board noted that the "apparent ongoing prevalence of unauthorized third-party sales of Cobra replicas ... has an obvious impact on applicant's ability to show acquired distinctiveness." It raises "serious doubts" about the exclusivity of Shelby's use of the design. However, the evidence of third-party use is not strong enough to be dispositive, but it is a "significant factor." The Board found Shelby's circumstantial evidence of acquired distinctiveness to be "not impressive." Sales of the Cobra 427 S/C were minimal. Shelby did little or no advertising, although he and his cars were the subject of "constant media attention." However that does not mean that consumers perceive the 427 S/C design as a source indicator for the replicas being sold today. Shelby's policing efforts were "weak:" in fact, as many as ten unauthorized parties continued to produce Cobras in 2009. Therefore the Board found Shelby's circumstantial evidence of acquired distinctiveness to be insufficient. Shelby's survey evidence consequently became the "crucial piece of evidence." Unfortunately for Shelby, the Board found the survey evidence to be wanting. "His survey expert, Dr. Jacob Jacoby, failed to take into account the marketplace conditions: i.e., that the cars are sold principally in kit form. Therefore the chosen universe "was not reflective of potential purchasers of the Cobra 427 S/Cs which are now on the market." Furthermore, the stimulus that he used, a photograph of a car, depicted a model that differed from the drawing and specimen of the subject application. A fundamental problem with the survey was the overbreadth of the universe surveyed: it extended well beyond potential purchasers and included "persons with some interest, however limited, in high performance sports cars or custom cars." The purchaser of a kit ... is a rare creature who is not only knowledgeable about the product but capable of completing or arranging the completion of the product. The significant cost of a kit is further evidence of the care and sophistication which would be typical in such a purchase. This marketplace reality stands in stark contrast to the low level of interest and sophistication required to qualify as a respondent for this survey. And finally, the questions asked were "not truly probative of the issue, again, because they did not take into account the nature of the goods, principally replicas sold in kit form, and the specialized marketplace for these goods." In sum, the "numerous and serious flaws" in the survey led the Board to conclude that it had "little or no probative value" concerning the issue at hand. And so the Board concluded that Shelby failed to show that his use of the design in the current marketplace is substantially exclusive, and he failed to show that the design has acquired distinctiveness. Fraud: The Board found that Mr. Shelby had a "sincere, good-faith belief that he is the owner of the rights" to the design. Factory Five failed to show any intent to deceive in the filing and prosecution of the subject application, and so the fraud claim failed. Abandonment: As mentioned, because Shelby failed to establish any rights in the subject design, the issue of abandonment is moot. [How appropriate! the oral argument in this case was held in the moot court room at Boston University School of Law - ed.]. The Board therefore sustained the opposition. 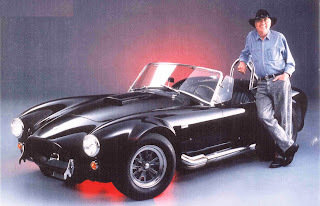 TTABlog comment: It seems fair to say that, although purchasers of the replica kits recognize Carroll Shelby as the original designer of the car, they do not necessarily think that the kits emanate from or are sponsored or approved by Shelby. So, what's the lesson here? Design patent?